The Ventus S1 Evo² is an ultra-high performance tyre designed to achieve superior levels of handling and optimal wet grip capabilities. 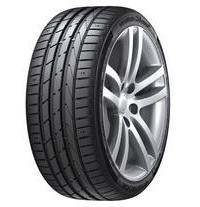 This tyre is also optimised for low rolling resistance for a more efficient drive. Designed with high stiffness bead filler, this tyre works to achieve enhanced handling characteristics, resulting in more precise steering for a sporty drive. The Ventus S1 Evo² also delivers safety in wet conditions thanks to its rapid drainage ability which provides aquaplaning resistance and a specialist compound which improves traction on wet surfaces.